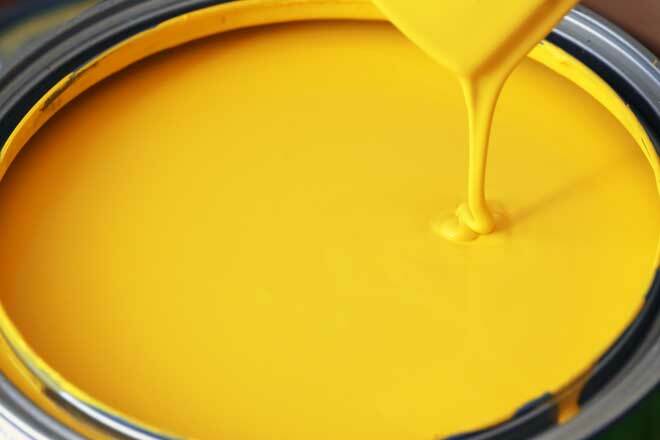 You have likely heard throughout your life that oil-based paints cannot be mixed with other types of paint. At the same time, you may have been told that you can use latex paint on top of an oil-based primer. Both of these beliefs are true, which may at first sound confusing. The facts, once broken down, are far less confusing than they first appear. Oil-based paints have been used for centuries, and despite numerous innovations, a few facts have remained prominent in the artistic world. The first of these is that oil paints take a long time to dry. Modern oil paints dry much faster, however, they still dry at a different rate than latex or acrylics. Furthermore, if you were to use an oil paint over latex, the new paint will expand and contract at a different rate than the underlying layer, causing it to crack. Latex will not properly stick when applied directly on top of an oil-based layer without preparation, and may easily crack or peel. There are many reasons to use latex paint over an oil primer, and the results are a strong, lasting surface. As a general rule, latex primers are used for drywall and soft woods, although there are a few notable exceptions. Oil primers and paints take longer to dry and require additional ventilation, meaning a blend of latex and oil can reduce time and discomfort without sacrificing durability. Feel the wall. Oil is smooth and glossy, while latex tends to be matte and has a more rubbery finish. Dip a cotton swab into acetone and test the painted surface. Latex will dissolve slightly while oil will remain unaffected. If you have determined the existing paint is oil-based, you will need to rough the surface using 100-grit sandpaper until the gloss has vanished, then wash the surface and allow it to dry. You will now be able to add the bonding primer. Oil-based primers take at least eight hours to dry. You may have to lightly sand the primer over smooth wood surfaces with 180-grit sandpaper to provide an easier bonding surface. Be sure to wash away any dust caused by the sanding and allow the area to dry before adding your paint. As a general rule, two evenly applied layers of latex paint will be required over the primer. Allow between two and four hours for each layer to dry. A room will take approximately 16 hours of drying time between the primer and two layers of latex. This does not include the drying time after cleaning, nor the time required for the painting process itself. However, you may spread the project over a period of days, so long as the job is completed within two weeks of applying the primer. GeeksOnHome provides a detailed guide on painting using alkyd-type oil-based primers. Today’s Homeowner offers a guide further discussing the differences between oil, latex, and shellac-based primers.